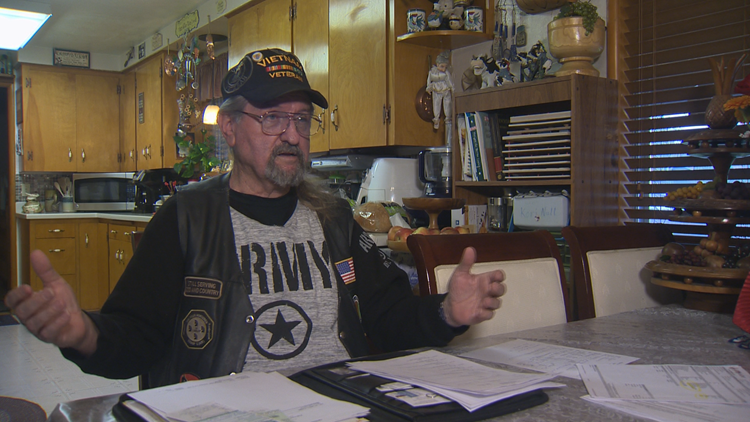 Vietnam veteran Wayne Crowder will tell just about anyone who will listen that it was the most expensive oil change he had ever seen. 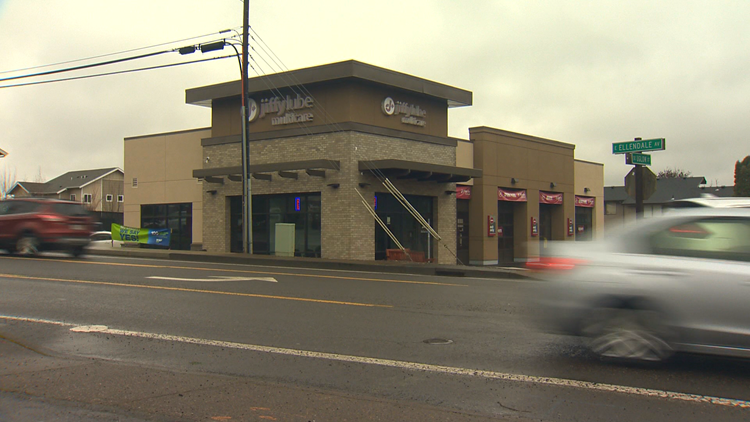 When a new Jiffy Lube opened up on East Ellendale Avenue in his hometown of Dallas, Oregon, he wanted to support the local business. “I thought, 'Well, as soon as it opens up there I need to get my car in and get it serviced,'” Crowder said. Crowder took both his truck and his van in for service. But the work done on his van, he said, has since led to an unbelievable experience. The van, a 2014 Chrysler Town & Country, has just over 42,000 miles on it. When he took it in to Jiffy Lube, the technicians filled out paperwork marking his oil “full on arrival.” And the oil change appeared to go smoothly. Crowder said he was in and out in no time. But then, he said, things took a turn for the worse. “Every time we drove it a little bit, it would start tapping and tapping, more tapping and then it became knocking and knocking,” he said. That tapping and knocking noise got worse, and when Crowder's wife, Jackie, drove the van to Salem the next day, she said the noise from the engine became unbearable. “Oh my Lord! I told Wayne when I got home it was knocking so bad I couldn't even hear the radio,” she said. Crowder said he went outside and listened to the engine noises. “The first was tap, tap, tap. The second was bang, bang, bang. Then crunch! I'm going, ‘Oh, no. This is not good.'" So, Crowder said he parked the van and got up the next morning, just a few days after the original oil change, and took his van back to Jiffy Lube. But before he got there, he checked the oil dipstick. Crowder said there was not a single drop of oil on it. The service technician, Crowder said, put his van on the Jiffy Lube rack and suggested he wait in the lobby. Minutes later, Wayne said the technician told him the oil was full. “He says, ‘I checked the oil and it's full.’ I said, 'You guys are miracle workers, because I checked the oil before I left the house today to see where we were, and there was no oil on the dipstick,'" Wayne said. With the engine still grinding, Crowder said he told the Jiffy Lube technician that he was taking his van to the dealership where he bought it to see what was wrong. Both Wayne and Jackie said the technician told them he’d take care of it. “He says ‘Well, would you come back and let us know what you find and we'll make it right,'" Crowder said. But first, Crowder had to again park his van. He and Jackie then took his truck to Roseburg. While all of this was going on with Jiffy Lube, Crowder said he was also dealing with the death of his mother-in-law. When he got back on June 20, 2018, he had the van towed to Roberson Motors and the diagnostic test found the engine had failed. “He said it definitely had been run dry. And I said, ‘Well, on my form here from Jiffy Lube the day I took it in to them, it said the oil level was full.' So, what am I to think?” Crowder asked. The diagnostic exam from Roberson Motors also found ‘excessive metal debris’ in the oil pan. Roberson mechanics took pictures of the metal shavings in the engine. KGW showed the diagnostic report to an independent mechanic, Russ Jones, who said that the cause of the engine failure is fairly easy to diagnose. “The metal shavings in the engine. The fact that it had a spun, a couple of spun rod bearings in it. That's typically what happens in an ‘oil out’ situation,” said Jones, an ASE Master Certified mechanic for 34 years. He's also the Department Chair at the Automotive Institute at Portland Community College. “This is a very common repair for a car that was run without oil in it," Jones said. Total replacement for a new engine, from Roberson Motors cost Crowder nearly $9,000. But Jiffy Lube told Crowder that the local business would not cover the repair costs. "Based on our evaluation of the vehicle, both when we performed the initial oil change service as well as when he returned weeks later, the oil level was full. So, we feel strongly that the engine failure was not the result of the oil change service performed." “It’s just heading to a point where I'm going, ‘I'm frustrated with this, I'm tired of being pushed around.’ I'm going to start taking the bull by the horns,” he said. So, Crowder filed a claim in Polk County small claims court against the company that runs this particular Jiffy Lube franchise. And he received a ‘default judgement’ on March 12 totaling $9,191. But Crowder said that despite his court award, the Jiffy Lube franchise's owner has not paid. KGW tried to ask Edwards why he hasn’t paid the judgment, but his attorney said his client can't comment on ongoing litigation matters.